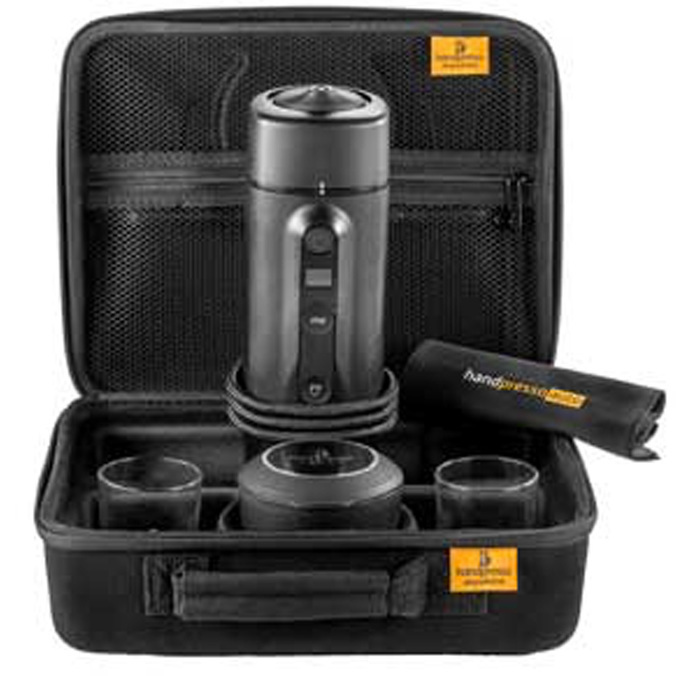 Make coffee easily, wherever you go ! Thanks to its digital display, making coffee is easy! The Handpresso will guide you through each step. - Fill with cold water until the "OK"
- Once the water is hot enough, the machine will make a sound. - Enjoy your espresso ! The nozzle is designed to avoid splashing. 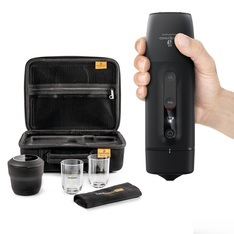 19 bar pressure for a 50ml drink at a perfect temperature in just 2 minutes 30 minutes ! You can also schedule a 5 minutes delay, perfect to anticipate your break and have a hot coffee ready when you are ! Handpresso, a whole new world! 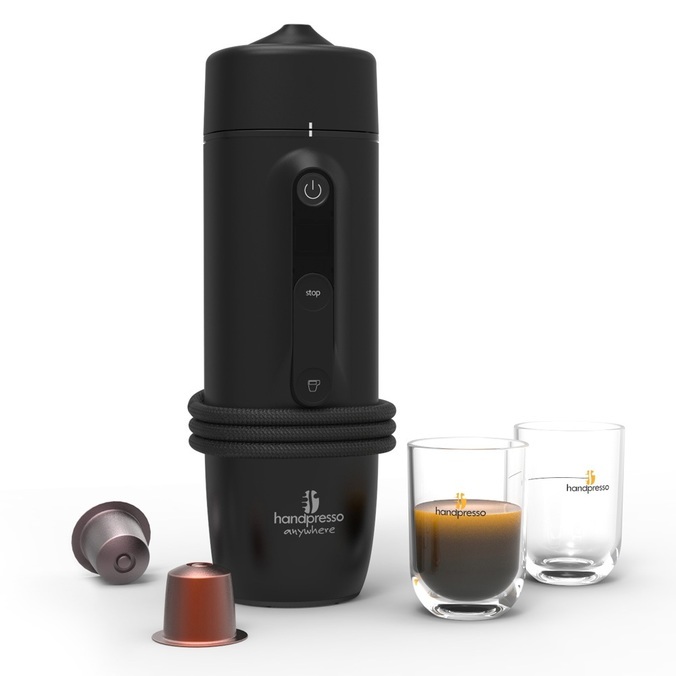 Handpresso has combined coffee quality and mobility. Handpresso has launched a range of portable machines, meaning you can now enjoy premium-quality coffee wherever you are. This Handpresso bag is the ideal solution for carrying all your coffee essentials for your Handcoffee Auto or Truck travel coffee maker.